Solid oak. Steam bent base. Oiled finish. 61cm wide. 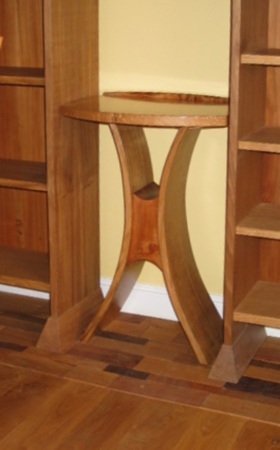 Semi-circular top or shown here between two Lotus bookshelves. Price on application.